On the 3rd of April ESMA published the latest version of their EMIR Q&A with changes to the details of trade reporting in 18 categories. The changes cover diverse areas including product and entity identifiers, margin, collateral, UTIs, notionals, positions, new fields and increased validation. For firms currently reporting to a TR under EMIR they must have implemented and tested their changes for November 1st well in advance to ensure compliance. ESMA also published their validation rules spreadsheet with 129 individual rules to be applied to reported data to ensure both format and valid values are correct. In this webinar we will talk through some of the biggest changes and consider how they impact the preparation of your data for reporting. We will talk about why some of these changes aren’t just a format problem but involved sourcing data from within their firm to then calculate the required values for the reports. We will highlight the impact of some of these changes using the RegTek EMIR-Ready service. The EMIR-Ready service has been developed to provide a safe and easy way to ensure your EMIR reporting data meets the regulatory rules. The same platform is used by over a dozen global banks to test their data - we think you’ll see why when we explain how easy it is to use. What stage of preparations for November 1st is your firm at? How is your firm testing your EMIR data submissions? How much re-used will your firm make of your EMIR reporting infrastructure for MiFID II? Prior to joining the company in 2011, Brian spent 14 years at UBS, most recently as Chief Operating Officer for Delta One trading, a role in which he successfully brought several new business lines and products to market. He also has many years’ experience at the bank in fixed income, credit default swaps and prime brokerage. Brian received his Bachelor of Science in Construction Management from the University of Witwatersrand. Prior to joining the Validate.Trade team at Regtek, Alan was a Senior Business Analyst on DTCC’s Global Trade Repository programme and led the development and implementation of many of the EMIR reporting deliverables including Collateral & Valuation reporting, the ESMA Level 1 & Level 2 validations and the Inter/Intra TR Reconciliation. Prior to DTCC Alan has a wealth of experience across banking and asset management including roles at Barclays Capital, Omgeo, State Street Bank and BlackRock. Stuart has been in investment banking operations for over 20 years. Stuart set up base60 in October 2015, to provide clients with a trusted partner capable of providing pragmatic solutions to complex and challenging business problems. Stuart specialises in industry and market-driven initiatives. He is currently engaged in major programmes and initiatives that embrace new design principles and technologies to create and transform financial market infrastructure including CCPs, Trade Repositories and a number of other vital central services. 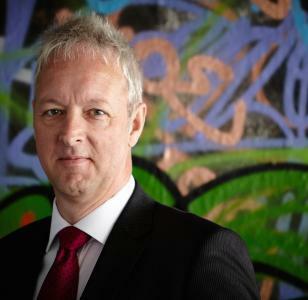 Mark Steadman is the European Head of Product Development at DerivSERV, DTCC. Mark has been with the DTCC for 4 years and has been instrumental in building the European Trade Repository. Prior to DTCC, Mark led Sapient Global Market’s regulatory reporting practice and has worked as a Corporate Banker at National Australia Bank, and Project Manager at UBS. Bill has worked with major banks to improve their OTC processing capabilities, including with Barclays Capital as Head of OTC (ISDA) Projects, LCH.Clearnet as Head of Product Development for the SwapClear service and at DTCC to design, build and deploy the Trade Information Warehouse for Credit Default Swaps. He originally qualified at Greenwich University in Computing, and is a contributor to three books on OTC products and capital markets and the owner of The OTC Space Ltd.